I’ve given up writing recipes with more than one new-to-me hop variety. When the beer is ready, I don't know which one to credit (or blame). Only a handful of varieties are able to carry an IPA alone, so I often avoid SMaSH recipes too. I’d heard good things about Denali (aka Nuggetzilla, 06277), specifically that it contributes big-punchy pineapple. That didn’t seem like what I wanted as the only aroma in an IPA though, rather it struck me as a nice combination with a couple of my favorites: Simcoe and Citra! If the beer isn't good, I'll know who to blame. I have a pound of Cashmere in the freezer waiting for similar treatment in another batch of NEIPA. For hop-timing, I changed things up slightly. Usually right at flame-out I add a big dose that I whirlpool 30 minute to impart the mouth-filling flavor that supports the aroma from dry hopping. In this case though, Scott talked me into adding some of the hops right as I started chilling. Quick chilling was a big emphasis for hoppy beers when I started brewing. In 2012 I transitioned to the hop-stand/whirlpool which immediately improved the character of my hoppy beers. Since then I have occasionally dabbled in splitting additions, but have mostly settled on the single large dose without pre-chilling. Scott mentioned that while researching his book-in-progress (The New IPA) he's read studies that suggest that the concentration of certain aromatics peak almost instantly. The question is, are during-chilling additions the most effective way to impart aroma, or are dry hops accomplishing that goal more effectively? I also wanted to trial Hazy Daze (which The Yeast Bay just “promoted” to full production). This is a three-strain blend intended for hazy IPAs which they say contributes "peach, apricot, nectarine and grapefruit citrus esters." I thought it might be related to the three dried-yeast blend I used, but from the taste there aren’t noticeable phenols or nearly the banana or bubblegum it produced. For the rest of the wort I pitched London III, as a control. Next NEIPA in the pipeline will be a fresh batch of Cheater Hops: Citra Galaxy to pour at the Maryland Craft Beer Festival on 5/12 in Frederick! Smell – When it was first tapped it was pineapple juice, and not much else. Not artificial or objectionable, but assertive. It was the first thing I smelled, and the first thing my sister-in-law said when she tried an uncarbonated sample. While that character is still present it has mellowed, melding with the Citra into an interesting mix of orange, melon, and pineapple. Appearance – Hazy glowing body. I’m sure a few readers will complain that it isn’t milky enough… I’m just too good of a brewer! Or we can blame the oat flour… I don’t want murky, muddy, or yeasty. Head and lacing are nice, despite the lack of Chit malt and hop extract. Taste – The pineapple is the signature character, but it finishes all Citra-melon. A touch of hoppy-resin helps and present bitterness to balance the fruit. It is juicy, but not a juice-bomb. Malt is subdued, just a slight fullness in the middle. Not distinctly oaty. Solid bitterness, balanced by a fair sweetness. Mouthfeel – Pillowy, rounded, all the good stuff. Moderate carbonation. Drinkability & Notes – The London III lets the hops speak. Not nose-in-the-hop-bag, but they retain their essence. The Denali has some of the same notes I associate with Sacch Trois (pineapple and a little sweaty), I think together they’d be too much. Changes for Next Time – I might back Denali down to 1/3 of the hop blend with this yeast, but it is really fun as is. Denali could go nicely with the banana of a hefeweizen strain. Not something I would have thought about a hop that is mostly Columbus and Nugget parentage. Smell – This half is somewhat less varietal, more citrus (tangerine) and less pineapple. It isn’t as obviously “hoppy” with more yeast-hop melding. I don't get anything extra special from the addition of hops during the chill, but then it is hard to know what to look for when using a new hop. Might be a little more aromatic that my last batch or two. Appearance – Perfect creamy head, great retention and lacing. Yellow, plenty hazy for my preferences, no murk or particulate. Taste – Tastes drier, brighter, and more bitter than the other half. Still a relatively restrained bitterness compared to some NEIPAs. The hop flavor (citrus, pineapple, melon) is saturated throughout. Really full of flavor, and enough variety to keep me going back. Only mild sweetness, not especially rich. Mouthfeel – Smooth, with just a hint of hop-astringency. Not quite as full as the best creamiest versions, but a bit more drinkable with the sudden warm weather. Drinkability & Notes – Bright, hoppy, and not exactly like the typical blend of hops. The yeast helps to keep it drinkable. Changes for Next Time – With the “alteration” to the hop character this blend seems like a great candidate for getting a citrusy hazy IPA without breaking the bank on fancy hops. I’d like to try this one in the Cheaper Hops paradigm. Mashed with 9 gallons filtered DC tap and 6 gallons of distilled. pH 5.45 with 3 tsp phosphoric, so added 2 tsp more. Lost a gallon of wort not closing the kettle valve before the transfer started... spraged with an extra gallon to make up for it and extended the boil. Added first dose of whirlpool hops at flame-out. After 30 minutes naturally cooled to 180F. Dumped the first dose of hops, started the chiller and added the next dose to the spider for better contact. Chilled to 67F, shook to aerate, pitched yeast. Both were packaged mid-January. No starter. Left at 66F to ferment. Beer temperature 65F up to 67F by day 3. 3/21/18 Dry hopped both with 3 oz each of Citra and Denali. Still good krausens. 3/30/18 Kegged each with 1.5 oz of table sugar boiled in water and 1 g of CBC-1 without rehydration. Left at room temperature to carbonate. Under-primed to avoid the over-carbonation issues with Cheater Hops v1. 1318 FG = 1.014 (not enough beer left over to measure Hazy Daze). 4/3/18 Moved both to 38F. No apparent over-carbonation (thanks to no Mosaic? ), if anything lower than expected. 4/13/18 Measured FG after warming decarbonating samples. 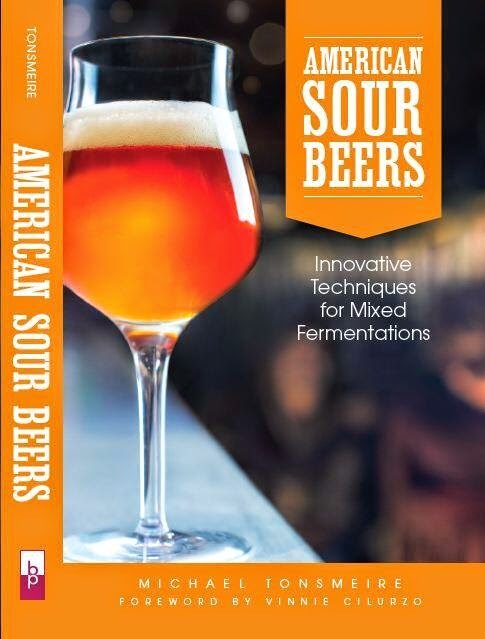 I get a commission if you buy something after clicking the links to MoreBeer/Amazon/Adventures in Homebrewing/Great Fermentations! Does the water profile listed take into account the minerals from your water blend? Is that the final water profile or just the numbers for what you added? I am pretty sure the former, just wanted to be sure. Do you always end up in this area for NEIPAS? I ask because with my latest NEIPA I also ended in this ballpark (4.6 for the single dry hopped version and 4.7 for the DDH version). In trying to understand the importance of final beer pH on the beer flavour, I have been measuring the pH of commercial versions of NEIPAs. For now I have seen that most versions were between 4.3-4.5 and their taste was balanced. There were also a few exceptions whith a pH of 4.2 and even one of 4.0, but with these ones I was starting to taste the acidity. It just makes me think that 4.6/4.7 might be going to the higher end and my result in a higher perception of bitterness. I must mention that I measured the pH with the beers carbonated and at 20C. I liked Denali in this one, but it really seemed to benefit from good company. The water profile listed assumes the average annual numbers from my water report, diluted by distilled water, and with the mineral additions. It includes all of the mash and sparge water combined. It doesn't include the changes in the minerals resulting from brewing. This one is a bit higher, but I'm usually above 4.5. As you noted, dry hopping tends to raise the pH of the beer. Best practice is to measure a de-carbonated sample. Carbonic acid will lower the pH significantly. I find that a lower pH actually accentuates bitterness, while a higher pH creates a more rounded impression. The test results I saw on Alter Ego from Treehouse had the pH at 4.5, Heady Topper was at 4.3. I did add oats to the boil on one of the early iterations of Modern Times Black House. Since then though I've always added my oats to the mash to ensure proper conversion. I had a similar experience with hazy daze, medium body with a really dry finish and highlights citrus notes. I'm not certain it's the best yeast if your goal is thick and hazy, but personally, I've kind of burned out on those untra-sweet hop concentrate drinks. I like that this yeast dries the beer out while still letting the hops sing. I'm reminded of fresh hopped beers where there's some haziness, without being opaque, and the hops still punch you in the face, but the beer isn't so sweet that you feel like you need an insulin shot after two hours. My first batch with hazy daze was citra mosaic galaxy, but I think the blend is more well suited for citrusy hop pairings rather than tropical. I plan on using the blend again with an Amarillo/centennial/Simcoe hop schedule to see what it brings to the table in that regard. I enjoy and follow all your posts. Thank you. Why would you mash’s for 45 min for a 68% efficiency when an hour mash would improve your brewhouse efficiency and help with converting the starch from the oats? If you look down in the notes, the lower than expected efficiency was a result of accidentally spilling a gallon or two of first runnings. 45 minutes should be plenty of time for the highly enzymatic base malt to convert the sugars from the oats (especially when you consider five minutes for mashing-in and 15-20 minutes for running off results in more than an hour of time for conversion). The NE DIPA I brewed Sunday hit 77% efficiency with a 45 minute mash and even more oats! In general it is a good crush, and effective sparging that is most responsible for extract efficiency rather than mash length. However, overly-aggressive sparging can also extract unwanted compounds (like polyphenols) from the grain. For the cost of a pound or two of grain to compensate for moderate efficiency I'd rather brew better beer in less time! Can you explain the quick mention of no overcarbonation due to no use of mosaic. A reference to the issues I had with hop creep in my previous keg-primed NEIPA. Can I ask what the purpose of the Whirlfloc tablet is for a recipe like this? Wouldn't that be counter-productive to your efforts of making a hazy beer? I'm pretty disinterested as far as haze goes. Appearance in general is the part of a beer I put the least effort into. I design recipes for flavor, mouthfeel, aroma etc. and let the appearance fall where it will. I don't add flour or green apple puree to the boil or intentionally follow other poor brewing processes in an attempt to add haze. That said, in the persuit of flavor and mouthfeel the haze usually takes care of itself. In the same way, when clear West Coast IPAs were the new-hotness I didn't add gelatin or attempt to make the beer super-clear. Kettle finings aren't especially productive for making clearer beer. They are really just designed to help with the hot break clump better. I whirlpool and settle leaving as much of the coagulated protein behind in the kettle as I can. This allows more wort into the fermentor (and more beer out) and purer yeast for harvesting and reuse. Will you repeat the process of one drop at flameout 30 min and another drop at 180F and rapid chill to pitch temp? Is it worth it or you will be back at only flameout whirlpool 30 min like the majority of your neipa recipe. Just want to know if it's worth trying it, gonna brew another neipa citra/mosaic/eldorado this Saturday. I didn't add the chill-addition for the batch of DIPA I brewed on Sunday. Not to say that I won't ever do it ever, but it didn't seem to be a major boost compared to my standard process. It can't hurt, but didn't seem like an especially efficient use of hops. I read that you suspect mosaic to be responsible for overcarbonation. Do you think that some varieties could be responsible for carbonation issues ? How do you explain that ? When you referred to a mash temp of pH 5.45 (before adding extra acid), was that written as mash temp or as room temp? Thanks! If you follow the link to Cheater Hops V1, I talk about hop creep a bit. No great reference for which hop varieties contain more of the responsible enzymes. I post my notes un-adjusted. So close to 5.7 at room temperature. I do rather thin mashes, so my pH is often a little higher than the classic targets even after adjustment. I have done a split batch NEIPA (London Fog WLP 066, and London Ale 013) and carbonate in the keg (both dry hopped with Mosaic and Citra hop pellets, then the same but cryohops). I noticed for this batch you said it was slightly under carbonated after priming sugar (no mosaic hop creep?). Knowing what you now know: how much sugar would you suggest adding for carbonation of a 5 gallon batch dry hopped with Mosaic,and how much time would you give it to carb (I would like to serve it in 7 days or so)? With Mosaic it is hard to say (2 oz in 5 gallons is where I'd start). Given your timeline, I'd force-carbonate. The colder the beer is the sooner it will absorb the carbonation, and also the more of the yeast and hop-particulate you'll drop out. My preference is for around five days of warm conditioning then a week of cold conditioning on CO2. Hello Mike, thanks so much for sharing your knowledge with us. I got a question about yeast harvesting for NEIPA's. When dry hopping loose in the keg at primary during active fermentation how would you harvest yeast from a keg? Is the yeast on the bottom of the keg not full of hops at this time? I don't harvest yeast when dry hopping during primary fermentation. If you needed to harvest the yeast, it seems many brewers soft-crash to 58F or so before dry hopping at the end of fermentation. Another option to look into is yeast washing to separate the yeast and hops. Another would be to bag/weight the hops. Thanks for answering. What about harvesting from the top before adding the 1st dry hop load during fermentation? If you are set up for top-cropping, that'd be a great solution! I'm looking into collecting yeast from a blow off but but can't really find any good resource on how to build a proper blow off tube on a corny keg. When using 1318 for example which is a viscous top cropper I wonder if the gas in line will get clogged. would you have any insights on this? Is there a specific reason you carbonate by priming and not force carb? The yeast use any oxygen that is introduced during kegging. Seems to buy another couple weeks of fresh hoppy goodness in NEIPAs in my experience. I'd still do everything you could to limit oxygen exposure, because bottled homebrewed NEIPAs don't tend to hold up well.